Raising Trilingual Baby: Websites, books, música, OH MY! 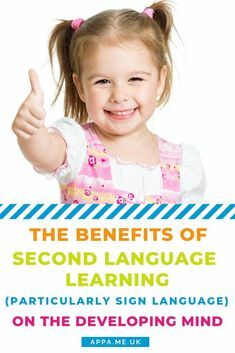 The benefits of second language learning on a developing mind is talked about a lot. I think it is self-evident that many, many parents want to give their child any edge they can. There is a lot of evidence (both correlated and tested) that learning a second language is enormously beneficial to mental development, particularly for children. Further given the physical and visual modes of sign language I feel that learning a sign language is particularly beneficial.